The next release of Toad for Oracle is coming soon and, as ever, we have some exciting things to tell you about! Our main theme continues to be workflow simplification for users who may be new to Toad and to help make the transition from traditional, manual Oracle database development to more agile, automated development leveraging Continuous Integration processes and we’ve made significant progress along that road. There is also a new release of Toad DevOps Toolkit which complements this Toad for Oracle release. Toad DevOps Toolkit brings the dream of seamlessly integrating Oracle database development tasks into a Continuous Integration/Deployment build process closer to reality. Part of this process relies on having developers use some key components of Toad for Oracle such as static code review (Code Analysis) and PL/SQL unit test generation (Code Tester). We believe we are the only solution in the market that can offer both automated PL/SQL regression test execution and static code reviews which can be integrated with CI. In our experience, this is one of the primary roadblocks that development shops faces as they transition their traditional Oracle database operations into DevOps. Migration to Oracle databases in the cloud is another trend we are seeing so we have capabilities which can support the management of Oracle databases, including multi-tenant, in the Oracle Database Cloud Service as well as working with Oracle databases in Amazon AWS and MS Azure. 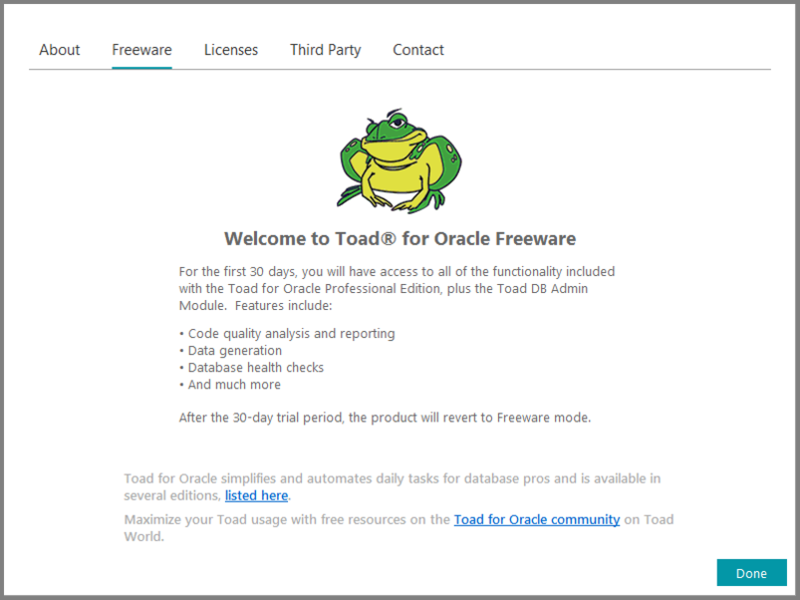 Have a read of these blog articles for more information on how to manage Oracle 12c multi-tenant database in the Oracle Cloud using Toad. Good news! Toad has historically worked in MDI (multiple document interface) mode, meaning one window and other Toad windows open inside of it. With SDI (single document interface), windows become free floating and you can move them around between your 2 monitors. Great if you’re a developer and you spend a lot of time in the Editor. Now you can have multiple Editor windows open and have them displayed anywhere. To change Toad to SDI mode, you go to the Options > General > Application Style panel. Team Coding is a collaborative developer utility that lets a group of developers access source control, yet work on the actual database objects. Team Coding reconciles the object changes with the VCS files and preserves the integrity of both. Fed up of having to separately Pull or Push your Git changes to GitHub? No more! Toad now provides the ability to perform Pull and Push code changes from or to your distributed GitHub repository, saving you the inconvenience of having to leave Toad. 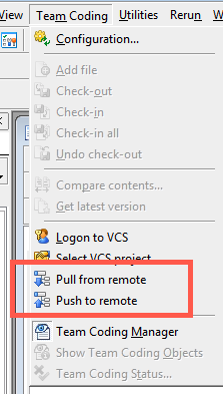 This can be done both from the Team Coding menu and from the VCS tab in Team Coding Manager. 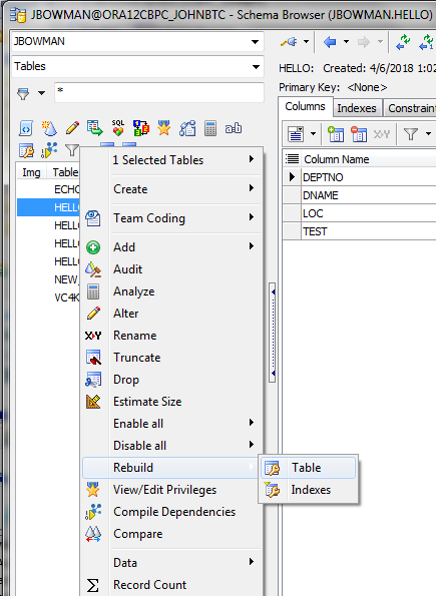 If you need to perform a Table Rebuild as a consequence of a change that involves changing column locations and you need to protect your data, you can now perform this immediately following a check-out using Team Coding. 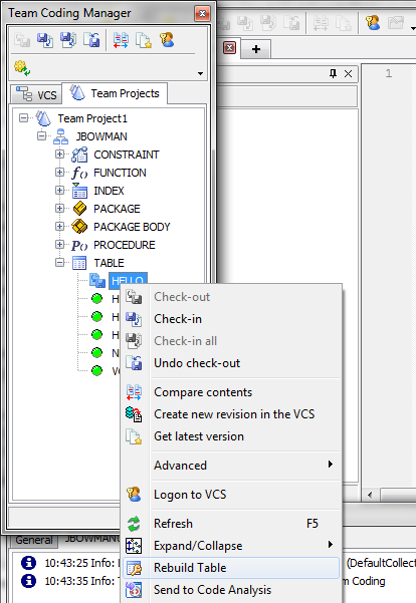 Table rebuild will create a copy of the table to be changed, move the data, make the change and copy the data back. Team Coding will remap the change history of the changed object back to the original object. 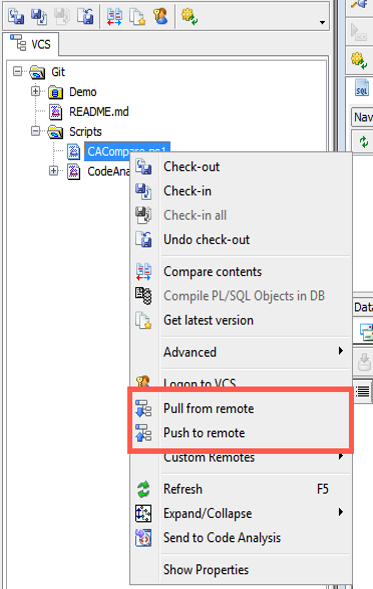 Team Coding also adds some additional options in the Configuration panel which determine how the DDL scripts arising from schema object changes are handled, including an Oracle database version compatibility check. This ensures that the change script will run on the version of Oracle on the target database. Code Analysis is Toad’s static code review feature. This is a rules-based system where you get to determine the quality levels you need in your organization. To do that, you can create new or clone/modify rule sets that come with Toad. 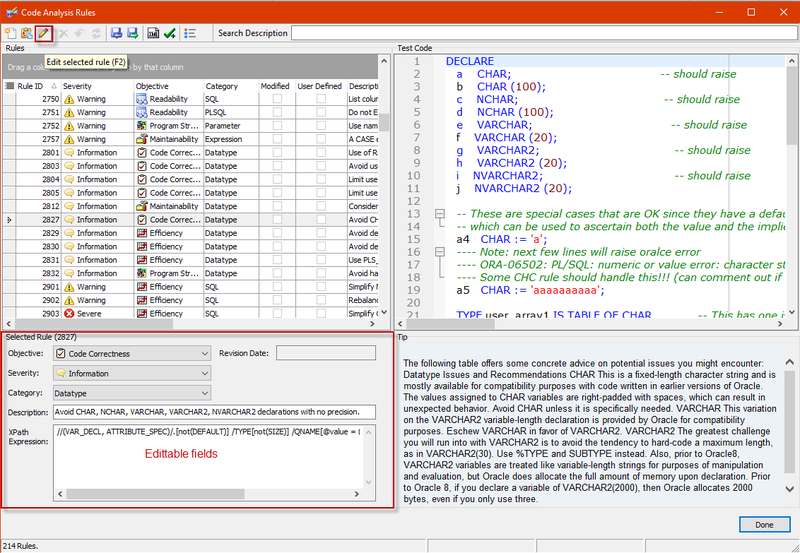 In this release, we’ve simplified the way you can modify the rules themselves in-situ with the Rules window, which will make using Code Analysis even easier. Improved repository management with the introduction of a new CTO_ADMIN_ROLE role which, when granted, will only allow that user to manage and perform upgrades to the Code Tester repository. Repository version tolerance, which will allow users on a prior version of the Code Tester client to connect to an older version of the Code Tester repository. 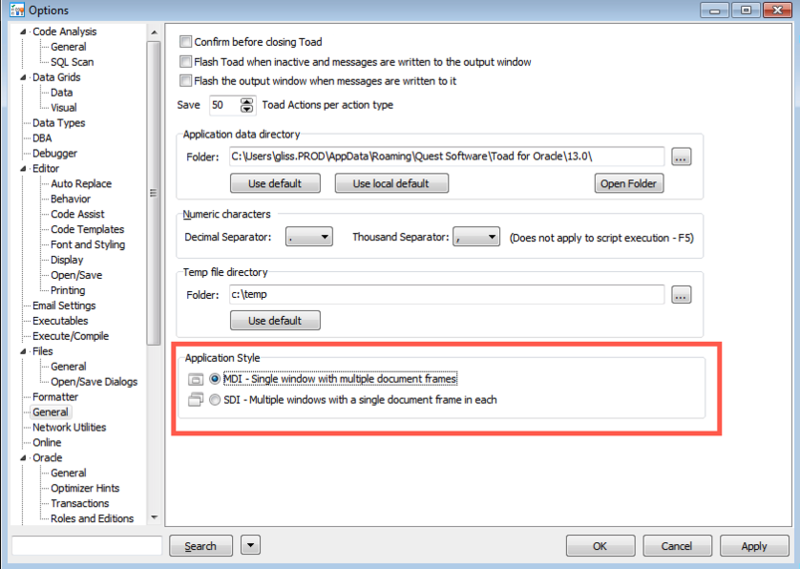 SQL Optimizer for Oracle 9.2.3 (Toad Xpert Edition and higher) – Supports the optimization of SQL statements on databases in the Oracle Database Cloud Service. There will be a new Technical Brief on Toad for Oracle 2018 published shortly which will be available on http://www.quest.com/toad-for-oracle/ so watch this space!